You haven’t fully experienced Tanzania until you visit Serengeti National Park and the Ngorongoro crater. These safari hotspots are two of the most exciting places in Tanzania. There is so much to discover, see, take pictures of, and simply enjoy. With a good safari company to organize your trip, a good safari driver and a guide, a safari touring these two wildlife hubs could be the adventure of a lifetime. 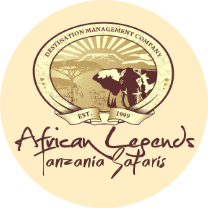 Your safari begins in Arusha. On arrival in Tanzania, you will be transferred to Arusha town which is a starting point for Mny Tanzania safari itineraries. In Arusha you will be briefed about the entire trip and how it will go along. After the briefing it’s off to Serengeti National Park. In Serengeti you will go on a game drive in the park and see the variety of wildlife roaming the plains. Be sure to have your pair of binoculars close by for clearer and up close viewing. 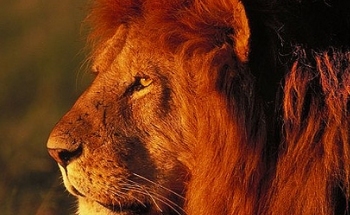 Keep your camera close as well, amazing photograph opportunities could easily pass you by. There is accommodation in Serengeti and nearby areas where you can spend the night. You should ask your tour operator to take care of those details. Before you embark on your Serengeti tour, make sure your meals for the day are covered. Pack lunch and dinner you will be glad you did. Day two Serengeti and transfer to Ngorongoro crater. The wildebeest migration is one wildlife tourism event that draws tourist crowds from various parts of the world to Tanzania. A procession of thousands upon thousands of wildebeests migrating across the plains of Tanzania. It is a magnificent sight. On day 2, you will have an early breakfast and go on a game drive in Serengeti national park where you will see animals such as the gold manned lions, very many cheetahs, lesser known predators like the serval cat and the insectivorous aardwolf and so much more. Afterwards you will travel on to Ngorongoro crater and enjoy the sights and sounds there. As you embark on the day’s activities first in Serengeti and then later in Ngorongoro, remember to carry packed meals; especially lunch. It’s hard to enjoy the African wilderness on an empty stomach. There are places of accommodation such as Lodges in Ngorongoro and the surrounding area, where you can spend the night as you prepare for day 3. Early morning on day, three you will be driven to Ngorongoro conservation area. Where you will see the magnificent crater, and a variety of game. The game drive will take on a descent down to the floor of the crater and you can unhurriedly enjoy the sights. Some animals such as the Black rhino can only be found in the Ngorongoro crater in Tanzania. You will these and much more. For meal: you can pack your lunch and enjoy a picnic somewhere on the floor of the crater. Entry into Ngorongoro is valid for 24 hours. This is the last leg of the 3 day safari.